Having taken my first family trip in a very, very long time (9 years if you include 4/5 members, 14 years if counting the whole family) to Hawaii, I had an unfamiliar taste of a different kind of travel. Going on a trip with your family is definitely different than doing an independent trip or a trip with friends. The major difference I found between traveling with friends and family is that with family, there is a large age gap, and therefore, likely a difference in what each person finds interesting. My dad, loving road trips, wanted to pull the trip towards the direction of driving around the island. I was OK with this but there are only so many hours I can spend inside a vehicle. Besides, what’s so great about seeing everything behind a window? I also had to subdue my restless tendency since my parents, being older, wanted to enjoy Hawaii by relaxing more than rigorous “doing”. Traveling with groups on the other hand can work in both ways. Being in the same age group means similar interests more likely than not. However, not everyone is the same so personalities may clash and conflicts can broil. The best way, to be brutally honest, is to choose carefully who you travel with. Albeit this is more feasible for smaller trips where more people will be likely to join you. With larger and longer trips, one can’t always be so picky. If you get along great with a person back home, there is a smaller chance of you guys running into trouble during the trip. Don’t bottle it up. It will only develop into resentment. If you have a gripe, be vocal about it. I have had many times where I should have been more vocal and many more times where I wished my companions would have been more vocal. We’re not mind readers. Speak calmly and don’t use an accusatory tone. Don’t be afraid to split. Seeing the same person all the time, you might just need some alone time to do something else. if you both want to do different things and are on a time limit, set a time to meet up and go your separate ways. Perhaps you can hit the spa while your buddy hits the slopes for a few extra runs. No biggie. You’ll come back together refreshed and with stories to share. One note about money: With all the bank fees that come with withdrawing money, you might borrow money to save on transactions when you both need money. I’ve got nothing against lending my buddy a few hundred bucks cuz seriously who wants to pay $10 to withdraw money? Just keep a written (not verbal) record of everything so there’s no confusion. Personally, I’m a little OCD when it comes to travel. I want to see as much as possible and usually I’m on a short time limit. I do want to take an extended period of travel but up to this point its been the few weeks vacation I could squeeze out of work. Because of this, I research the hell out of my trip. And why not? It gets me incredibly pumped for my trip, I have everything booked ahead of time and best of all, I waste as little time as possible researching once I’m there. For some wiggle room, I don’t set a day to day itinerary. For each place, I will make a list of the places I want to see and once I’m there I plan day by day what I will do. 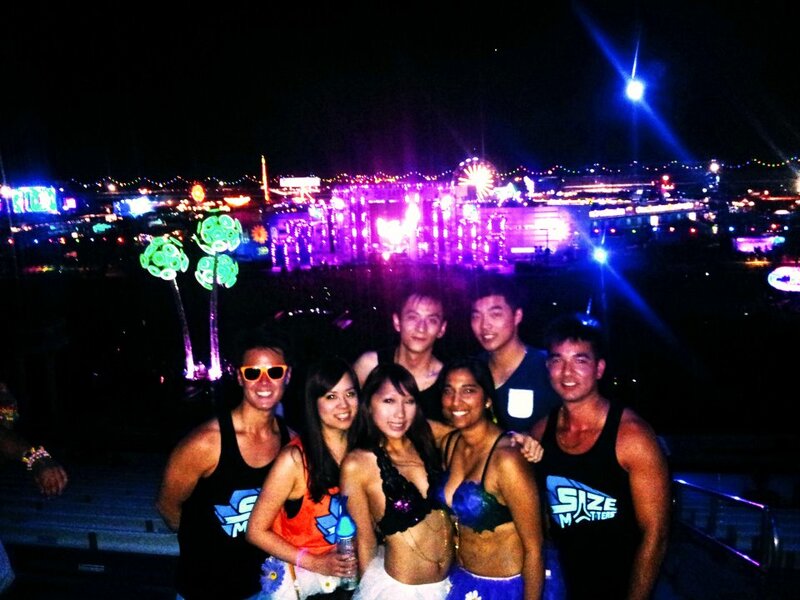 Traveling with some awesome people for EDC 2012. 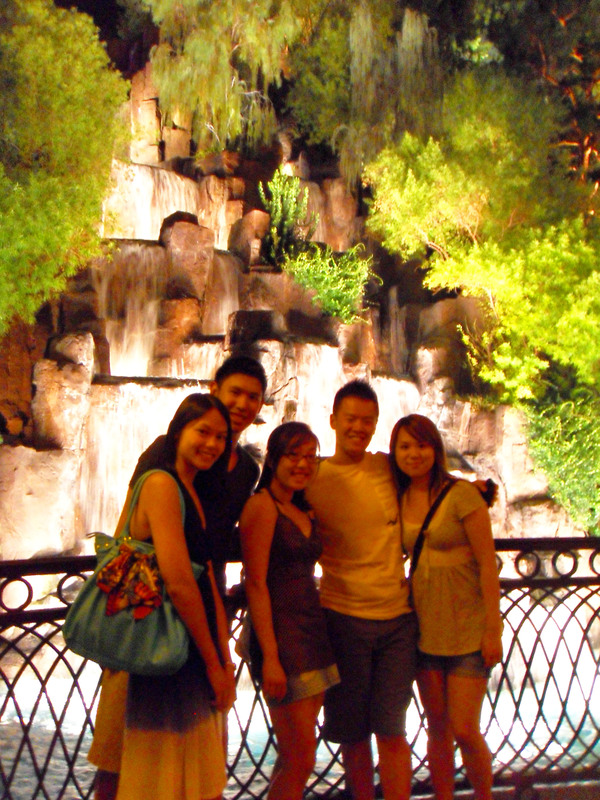 Hope to have a reunion real soon! Spontaneous travel is great, but it simply doesn’t work for closed ended travel. If you have 4 weeks in Europe, a complete vagabond attitude will only waste your time and possible screw you over. Having a loose itinerary gives your short stay some structure. If you’re traveling on a budget like me, you can only save by booking flights and hotels ahead of time. Many trains are adopting pricing models similar to discount airlines to compete. This means gone are the days of “last minute deals”. In fact, a last minute flight will cost as much as triple the price of booking ahead. This is also problematic when you’re traveling during high season. How stressful is it to land in a city during its peak tourist season and not be able to find a place to stay because everything is booked full? With the resources of the net at your fingertips, planning ahead is the way to go. However if you’re spending a good 6-10 months in a region, then you have the time to be a true vagabond. 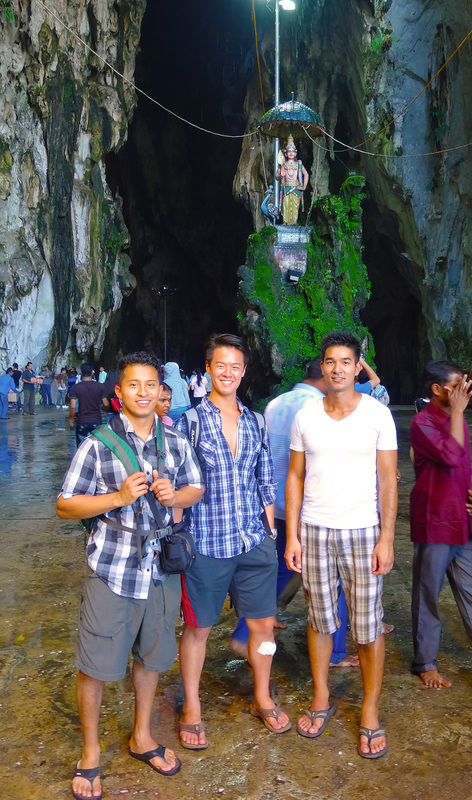 The 3 musketeers in Batu Caves, Kuala Lumpur. These guys were awesome and I was blessed to get the chance to travel with them. What kind of traveler are you? Do you plan ahead or just go where the wind takes you? What are your tips for resolving conflicts during travels? Feel free to comment! Until then, happy travels!